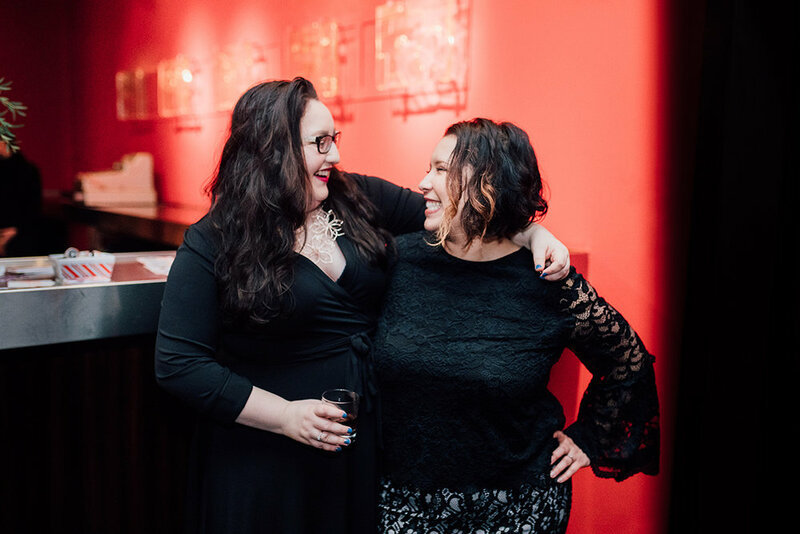 Founded by local Latina entrepreneurial powerhouses, Olivia Salazar de Breaux and Kathryn Coffman, Oly Girlboss Collective is a group of empowered, savvy and smart female business owners in or around the Olympia, Washington area participating in monthly meetings for support, mentorship and general networking. #BadassBabesUnite! After following each other on Instagram for many months, Olivia and Kathryn finally met in person at a random accounting class of about 10 business owners outside of the city (what are the odds!?) in April of 2017. They swear it was destiny. They spent the rest of the night (like, HOURS!) on Facebook Messenger, discussing how wonderful it would be to create a sacred, supportive place for fellow #girlbosses to come together and celebrate the ups and downs - the beautiful journey - of owning a business. Olivia shared that she and her friend Leslie had been dreaming up this idea for a while now and Kathryn immediately agreed that Olympia had nothing like the bigger cities (Seattle or Portland). Well, the rest is herstory! This is not a "pitch yourself" space. We find that connections between businesses happen naturally with time. Also unlike traditional networking groups, we DO NOT charge hundreds of dollars for membership - we simply request that our girls pay for their cut of the meals and contribute their talents in our monthly mini-lesson moments and our photographic, design and marketing efforts. We meet once a month at a variety of fun, inspiring locations to do tons of fun, inspiring things with each other with the ultimate goal of building each other up. OKAY, YOU'VE SOLD ME - SIGN ME UP! Thank you, gorgeous girlboss! We can't wait to read your message and chat with you/answer any questions you may have. Expect a reply from us within 2 business days. Cheers! P.S. If you didn't mean to submit this form and actually want to apply to join the group, please submit the application form on our "Join Now" page. Thanks!